Sponsored by Travel Technology Europe. tnooz catches up with Alan Hicks, R&D director for CarTrawler, ahead of his panel session on innovation at Travel Technology Europe. Is innovation an over-used phrase? Innovation has an extremely broad meaning and depending on who or what companies you look at they will have different variants on it. At CarTrawler innovation is about creative ways to make the travel experience better for our end customers but also for making the technical integration seamless and flexible for our partners. What is CarTrawler doing that is truly innovative? We recently launched a new programme – CarTrawler’s tech Incubator – where we hired 10 school leavers who are passionate about coding to focus purely on new innovations. It’s a win-win, they get fantastic hands-on coaching and mentoring and the business gets an energetic passionate group of people who are eager to learn. They have the space to work as a standalone team to test and build new products, that will be released in the coming months and years. Another of our recent innovations is the CarTrawler SmartBlock platform. SmartBlock is our advanced UI and technology platform. It’s an industry leading approach for integrating ancillary services into the booking path of a partner’s funnel. SmartBlock reduces the effort to market for partners by 80% while also providing a host of ongoing benefits. SmartBlock is powered by data science, already we have seen significant increases in financial gain for our partners that are using it. You worked outside travel before joining Car Trawler. Are there any truly innovative businesses outside travel that you rate highly? There are a lot of companies doing really neat things but over the years the company I’ve been the most impressed with is Amazon – it is a highly disruptive business that has entered and continues to enter new markets. The fact that it can innovate at scale for me is a real testament to their approach, it shows that you don’t need to be a start-up to “innovate”. Innovation is not just about changing or developing something, it’s about sharing and adoption levels. Does innovation require technical prowess (development/coding expertise) market awareness (identifying gaps/competitive landscape knowledge) or the funding (to run with an average idea and take it to market)? Innovation is about looking at things differently, creatively – to do that it takes many skillsets but most of all it takes a diverse team. Obviously particular technical or business expertise when solving a domain specific problem is required but you need people that can look differently at it. As people our natural tendency is to do what we already know – but to innovate you need to forget what you think you know and think as if you are seeing something for the first time. As the tech landscape changes and there are more open-source/API opportunities, is there a need for very specific programming knowledge or is a generalist background actually more useful? Ask any engineer – code is code. The people that are most useful today are the ones that can adapt to change. Technology never stands still so engineers are used to change. There are very few, if any, engineers today that are still working on the same technology they studied originally. While the pace of change is extraordinary the principles of good software design remain constant. Is learning to speak Mandarin more or less important than being able to code? I think the new universal language will be code so I’d have to say code is more important. There is very little in today’s world that rightly or wrongly hasn’t been impacted by technology and I think it’s important that people have an understanding of software. Within a corporate structure, where should "innovation" sit? How do you create and maintain a culture of innovation at CarTrawler? Innovation should sit everywhere in an organisation – innovation should not be a single individual and should not be an isolated role – it is an inherent part of the culture here. Within CarTrawler we are lucky to have an open culture that fosters creative thinking and risk taking. People should not be afraid of failure and we have a strict ‘No Blame’ culture. One of counter-intuitive things about innovation is that a process actually helps. Most people when they think of innovation they think a process will limit or curb creativity. The right process actually has the opposite effect, it gives teams direction and time to focus. At CarTrawler depending on the scale of the innovation we may spin it off to the Tech incubator team to allow an idea to be developed or we may fold it into our core activities. We have a dedicated innovate space where people can go to have meetings or relocate to focus. Why are there so many super-smart travel tech firms in Ireland? Ireland, and Dublin in particular, has a thriving start-up culture and is a very attractive location for all types of businesses, for many reasons – its location, language, culture, people, close proximity to major European markets, great transport facilities. We have a young talented well educated work force and we are part of the EU. In the past 15 years we have seen an explosion of tech start-ups (including ourselves) so there is an appetite for innovation and technology here which is great to be part of. Companies such as Amadeus, TripAdvisor and Airbnb have a base in Dublin and then we have our own home-grown companies such as Boxever, Datalex, Roomex and CoinDrum who are all doing great things in the industry. This article from Travel Technology Europe appears as part of the tnooz sponsored content initiative. 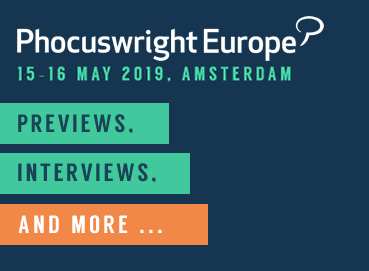 Alan Hicks will be taking part in a panel discussion at Travel Technology Europe, “Futureproof yourself: critical skills and the need for innovation”. 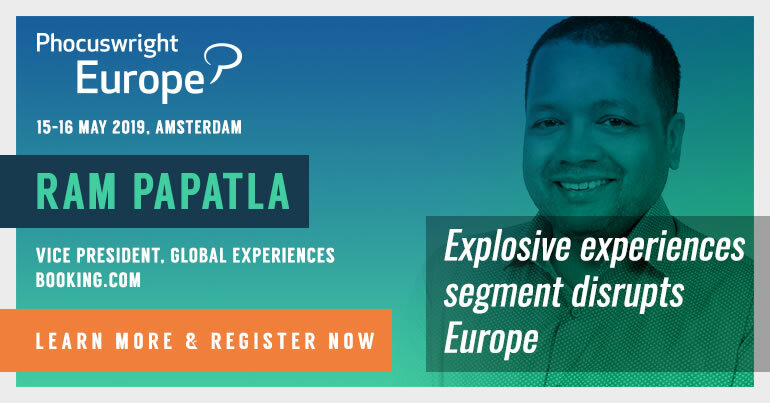 He will be joined by Michel Rouse, EMEA chief technology officer for FCM Travel Solutions and Torsten Kriedt, vice president of product strategy and innovation, BCD Travel. The discussion takes place on Wednesday 21 February from 1530-1630.